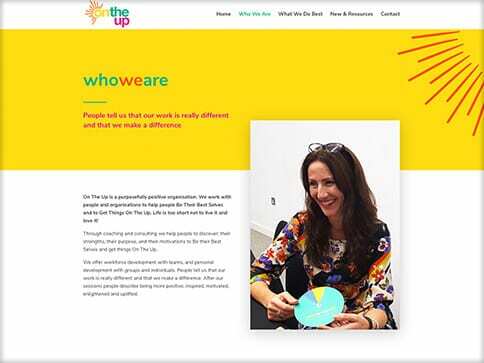 On The Up Consulting is a purposefully positive organisation. 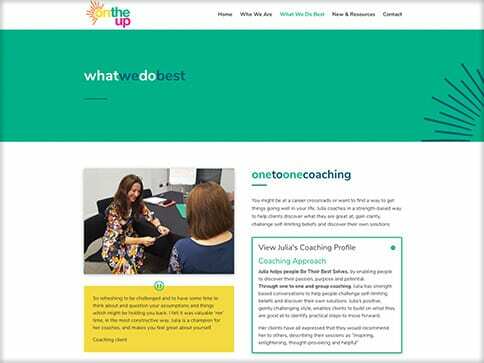 We work with people and organisations to help people Be Their Best Selves and Get Things On The Up. 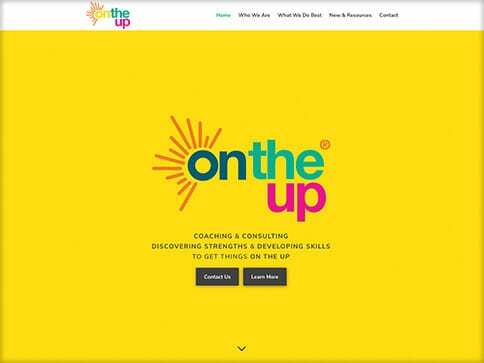 On The Up Consulting were going through a re-brand and wanted a bold and energetic website to compliment there purposefully positive organisation. Nettl of Stockport created this simple to navigate brochure site which includes bold colour palettes, bespoke icons and subtle animations to give the user a truly enjoyable experience and re-enforces this innovative business.